The 2019 Jeep®Cherokee takes the authenticity and craftsmanship of traditional Jeep Brand design and reimagines it for modern adventure. A new front and rear design, improved LED headlamps and taillamps, coupled with new wheel designs and premium exterior convenience features evolve Cherokee styling while holding true to its renowned roots. 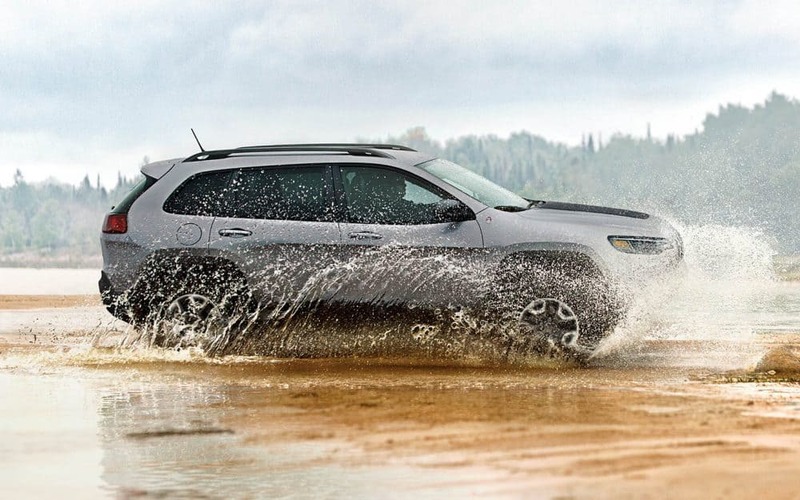 Ready to perform, no matter what the conditions, the 2019 Jeep®Cherokee is as hungry for adventure as you are. Experience enhanced performance and improved efficiency thanks to the all-new available 2.0L Turbo engine, while impressive all-weather capability ensures that wherever you need to go, Cherokee can get you there. Over 80 standard and available safety and security features ensure you take in all of the adventure and none of the worry. Available Blind Spot Monitoring10, ParkSense® Front and Rear Park Assist11, Passive Entry, Keyless Enter 'n Go™ and many more features equip the 2019 Jeep® Cherokee with safety and security you can depend on.